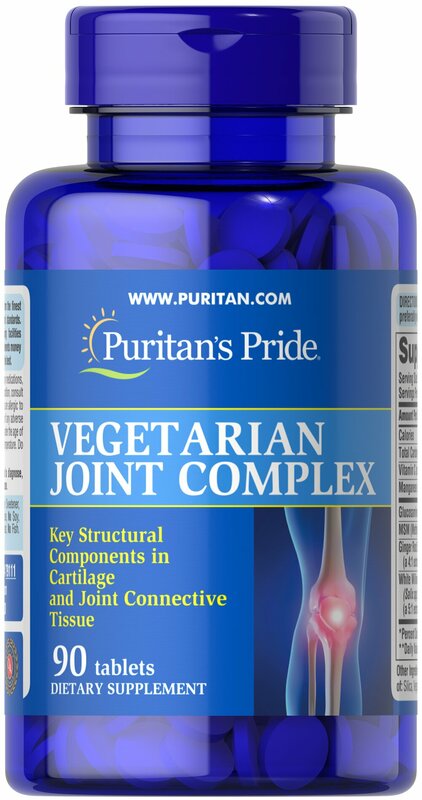 Our Vegetarian Joint Complex is comprised of many different ingredients to support joint health. ** It includes 1,500mg of Glucosamine HCL, 1,000mg of MSM, as well as Vitamin C, ginger root extract and white willow extract. This vegetarian dietary supplement includes 90 tablets. No Artificial Color, Flavor or Sweetener, No Preservatives, No Sugar, No Milk, No Lactose, No Soy, No Gluten, No Wheat, No Yeast, No Fish, No Sodium.